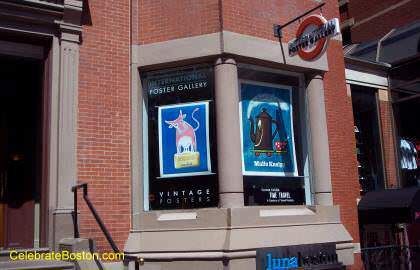 International Poster Gallery is located on Newbury Street. They offer original vintage and modern posters. The gallery also presents exhibits featuring different representative groups of this unique art form.